We are pleased to announce the publication of Deep Decarbonization in a High Renewables Future: Updated Results from the California PATHWAYS Model, our recent study of long-run strategies for deep decarbonization, prepared for the California Energy Commission. 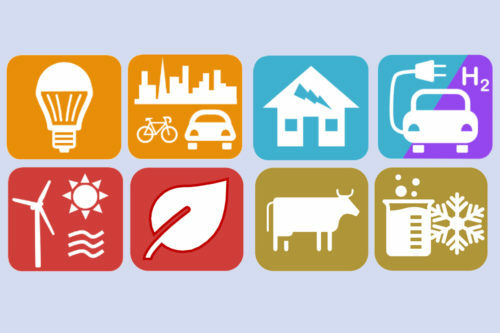 Over the course of more than a year, we used E3’s California PATHWAYS model to evaluate ten different scenarios for California to achieve its long-term greenhouse gas reduction goals. A scenario with high electrification of vehicles and building loads has both low cost and low technology risk compared to alternatives. However, this scenario depends on widespread consumer adoption of electrified technologies such as electric cars and heat pumps. This highlights the pivotal role of the consumer in meeting the state’s climate goals, as well as the need for market transformation to reduce barriers to electric vehicle and heat pump adoption. E3’s analysis is also featured in a new article in the IEEE Power and Energy Magazine, On the Path to Decarbonization, July/August 2018 special issue, authored by E3’s Amber Mahone, Dr. Zachary Subin, and Dr. Ren Orans along with colleagues from National Grid U.S. and Siemens. The article compares electrification impacts in California and the Northeast United States. We show that, in both California and the Northeast, the electric power system is broadly on track for meeting the long-term climate goals while the transportation and heat sectors are not. High levels of electrification are anticipated to be required in both regions, which creates the potential for synergies in renewable integration but may also result in distribution grid challenges. More detailed information and supporting materials on the study results can be found here.